The true understanding of the above is to help use with our inner lives. Jesus Christ preached that the kingdom of heaven is near and brought us the way of repentance, we should not just repent with our lips but truly hate sin from the depth of our hearts, and truly acknowledge that we will resist God because of our sins, and in our heart we are willing to repent before God. Remember that we have received forgiveness of sins through the redemption of the Lord, but can we gain God’s forgiveness forever if we continue to sin, God’s mercy and tolerance are not rare, man’s true repentance is, God’s mercy and tolerance are not at all difficult to obtain; what is required is one’s true repentance above all. Act 3:19 So we should repent then, and turn to God, so that your sins may be wiped out, that times of refreshing may come from the Lord. 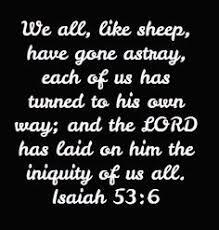 My understanding of repent means to change or to have a change of mind, and this change of mind involves both a turning from sin and a turning to God. This change of mind is a change of attitude and mental perspective, which results in a change in behavior. Repentance means to surrender one’s life—one’s whole being, both mind and body—to God’s will as expressed in His revealed Word. Is not always easy at any stretch of imagination, at times, it feels more painful than the wound we suffered, to forgive the one that inflicted it, and yet, there is no peace without forgiveness in our hearts, I believe forgiveness is the best form of love in any situation, it takes a strong person to say they're sorry and an even stronger person to forgive, when we forgive, you in no way change the past - but you sure do change the future. Scripture tells us that in Ephesians 4:26-27 Be angry and do not sin do not let the sun go down on your anger, and give no opportunity to the devil, be kind to one another, tenderhearted, forgiving one another, as God in Christ forgave you, do not rejoice when your enemy falls, and let not your heart be glad when he stumbles, but strive for peace with everyone, and for the holiness without which no one will see the Lord. In James 1:19-20 know this, my beloved brothers: let every person be quick to hear, slow to speak, slow to anger; for anger of a man does not produce the righteousness of God. We must all renounce at sometime in our life all superficiality, all convention, all vanity and delusion in our time of life, but is that easy? Scripture reads that we have all become like one who is unclean, and all our righteous deeds are like a polluted garment. We all fade like a leaf, and our iniquities, like the wind, take us away. I am aware that some people think that they never sin, let me ask these questions of you, personally, do you regularly and consciously sin, do you commit what you are convinced is sinful, without a determined effort to avoid it, do you do wrong with the full consciousness that this violates what God would want of you, do you have a careless attitude toward certain sins even though you are aware that they are sinful and hurt the heart of God and others. Most people know when they use bad language of various kinds, and they should know that it's a sin. But others use profanity by taking God’s name or Christ’s name in vain or taking these names in a careless or thoughtless way, some people use such words in nearly every sentence or maybe every several sentences in their conversation. Scripture is quite clear about this. We are to put aside “malice, slander, and abusive speech from your mouth and renounce all for a better life. Renounce fornication Some of us may think that everyone knows that fornication is sinful, but there may be a few people out there who are not as fully conscious of this fact as others. Some also commit fornication or sexual immorality and know it is sinful and displeases God, but they go ahead and follow their flesh anyway. Anger again how often this sin is committed in the world around us! We suspect that nearly everyone knows that anger is sinful, except for instances of anger directed against sinful behavior renounce all anger it will lead you to a better life and a better understanding. Lying Lips also as sadly, we know that most people admit that they sometimes or regularly lie. A lie is deliberate telling an untruth. It is “a false statement made with deliberate intent to deceive; a falsehood. The Lord Jesus said that a “false witness” comes “out of the heart” and thereby defiles the man (Matthew 15:19-20). Deceit likewise comes from the heart (Mark 7:21-23). We read that lying lips are an abomination to the LORD, but those who deal faithfully are his delight. He also wrote, do not lie to one another, since you laid aside the old self with its evil practices (Colossians 3:9). Nearly everyone who claims to be a follower of the Lord Jesus knows that God wants us to seek His will and His truth through His inspired Word. We all know that God’s Word is “inspired by God” and “profitable for teaching, for reproof, for correction, for training in righteousness; so that the man of God may be adequate, equipped for every good work” (2 Timothy 3:16). As we know that the world is not a fair place to live in, and often fools, cowards, liars and the selfish hide in high places. For as we know that men will be lovers of self interest, lovers of money, be boastful and arrogant, revilers, disobedient and ungrateful, unholy too. I must say that wisdom ceases to be wisdom when it becomes too proud to weep, too grave to laugh, and too selfish to seek other than itself. We must remember he who separates himself seeks his own desire, he quarrels against all sound wisdom. It's a dream when some people think that once you give your life to God, all of a sudden things are all perfect. That's not always the case. We live in a world that's broken, where there's disease, where people are selfish. The foundation of your faith helps you know how to put that in proper perspective. But realize this, that in the last days difficult times will come for all. In Psalm 119:36 remember to Incline your heart to your testimonies and not to dishonest gain, and also do not lie to one another, since you laid aside the old self with its evil practices, And remember as each one has received a special gift, employ it in serving one another as good stewards of the manifold grace of God. A new commandment I give to you, that you love one another, even as I have loved you, that you also love one another. Also the great danger for family life, in the midst of any society whose idols are pleasure, comfort and independence, lies in the fact that people close their hearts and become selfish. The Bible acknowledges he who has a crooked mind finds no good within himself or herself, And he or she who is perverted in his language falls into evil. I say put away from you your deceitful mouths and put devious speech far from you. The Lord your God says a perverse heart shall depart from me; I will know no evil. He who has perversity in his heart continually devises of evil, and he continues to and spreads strife. The Lord your God says a man will be praised according to his insight, But one of perverse mind will be despised and the integrity of the upright will guide them, but the crookedness of the treacherous will destroy them always. As we all know that a soothing tongue is a tree of life, But perversion in it crushes the spirit. I say better is the poor who walks in his integrity than he who is crooked though he be rich. Jesus said you unbelieving and perverted generation, how long shall I be with you? How long shall I put up with you, and constant friction between men of depraved mind and deprived of the truth, who suppose that godliness is a means of gain, a man will be praised according to his insight, he who walks in his uprightness fears the LORD, But he who is devious in his ways despises him. he who has a crooked mind finds no good never, and he who is perverted in his language falls into evil always. Nothing, Justifies Terrorism Today in our Lives. Terrorism today is a significant threat to peace and security, prosperity and people, and also I would like to add that terrorism has become a festering wound, It is an enemy of humanity. Political leaders still think things can be done through force, but that cannot solve terrorism, backwardness is the breeding ground of terror, and that is what we have to today. Lets see what the bible says, Matthew 24:6-8 And you will hear of wars and rumors of wars. See that you are not alarmed, for this must take place, but the end is not yet. For nation will rise against nation, and kingdom against kingdom, and there will be famines and earthquakes in various places. O Lord, you hear the desire of the afflicted; you will strengthen their heart; you will incline your ear to do justice to the fatherless and the oppressed, so that man who is of the earth may strike terror no more. Matthew 10:34 Do not think that I have come to bring peace to the earth. I have not come to bring peace, but a sword. 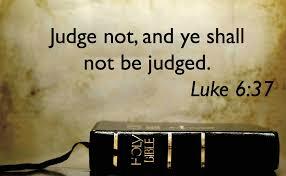 Judge Not, That You Be Not Judged. (Luke 6:37). Judge not, and you will not be judged; condemn not, and you will not be condemned; forgive, and you will be forgiven; Do not judge by appearances, but judge with right judgement, do not speak evil against one another, brothers the one who speaks against a brother or judges his brother, speaks evil against the law and judges the law, but if you judge the law, you are not a doer of the law but a judge, there is only one lawgiver and judge, he who is able to save and to destroy and that's the Lord God, but who are you to judge your neighbour. Therefore, you have no excuse, every one of you who judges, for in passing judgement on another you condemn yourself, because you, the judge, practice the very same things, we know that the judgement of God rightly falls on those who practice such things, do you suppose you who judge those who practice such things and yet do them yourself that you will escape the judgement of God, we must remember what the Lord is saying here. So when you open begin to open your mouth, judge righteously, defend the rights of the poor and needy. To speak evil of no one, to avoid quarrelling to be gentle, and to show perfect courtesy toward all people of all race, for we ourselves were once foolish, disobedient, led astray, slaves to various passions and pleasures, passing our days in malice and envy, hated by others and hating one another, but when the goodness and lovingkindness of God our Saviour appeared, he saved us, not because of works done by us in righteousness, but according to his own mercy, by the washing of regeneration and renewal of the Holy Spirit, whom he poured out on us richly through Jesus Christ our Saviour. For the whole law is fulfilled in one word: You shall love your neighbour as yourself, for we must all appear before the judgement seat of Christ, so that each one may receive what is due for what he has done in the body, whether good or evil, God did not send his Son into the world to condemn the world, but in order that the world might be saved through him. Live in harmony with one another do not be haughty, but associate with the lowly, never be wise in your own sight repay no one evil for evil, but give thought to do what is honourable in the sight of all, if possible, so far as it depends on you, live peaceably with all, beloved, never avenge yourselves, but leave it to the wrath of God, for it is written, Vengeance is mine, I will repay, says the Lord. let him seek peace and pursue it, for the eyes of the Lord are on the righteous, and his ears are open to their prayer, but the face of the Lord is against those who do evil. We must remember that the fruit of the Spirit is love, joy, peace, patience, kindness, goodness, faithfulness, gentleness and self-control; against such things, there is no law and those who belong to Christ Jesus have crucified the flesh with its passions and desires, if we live by the Spirit, let us also walk by the Spirit, let us not become conceited, provoking one another, or envying one another. When one of you has a grievance against another, does he dare go to law before the unrighteous instead of the saints, or do you not know that the saints will judge the world, and if the world is to be judged by you, are you incompetent to try trivial cases, do you not know that we are to judge angels, How much more, then, matters pertaining to this life so if you have such cases, why do you lay them before those who have no standing in the church, I say this to your shame, can it be that there is no one among you wise enough to settle a dispute between the brothers, love each other, if anyone has the world's goods and sees his brother in need, yet closes his heart against him, how does God's love abide in him, for God so loved the world, that he gave his only Son, that whoever believes in him should not perish but have eternal life, for God did not send his Son into the world to condemn the world, but in order that the world might be saved through him.